There are also plenty of examples in the documentation, here (see bottom of page) that will get you up and running quickly. 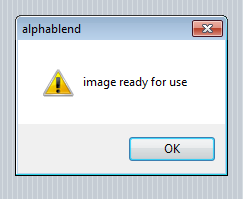 Alpha blending is a technique for blending pixels together using, as the name implies, the alpha channel. Pixels stored in 32bit format uses 3 bytes for red, green and blue – with the final byte reserved for opacity, called the alpha channel. When you see semi transparent graphical effects, it’s alpha blending you are seeing. To alter the opacity for any Smart Mobile component, simply set the Boolean Alphablend property to true and alter the opacity property. It is very easy to fade in a panel or form using a timer this way. If you want cutting edge effects you probably want to use the GPU powered CSS transitions (see W3Animation.pas). If you want really cool and really fast graphics where you dont need to use the canvas – have a look at sprite3d.pas which ships with our RTL. The demo “spartacus” in the demo folder was created using this API. Sprite3d uses hardware acceleration to move normal DIV based components around the display very, very quickly. TW3Image is a control, so the same rules that apply to controls in general – applies to TWImage. You can also use images when drawing to a canvas. When you draw images to a canvas you can use the canvas’s globalalpha and globalcompositionoperation property to control how the pixels are copied. When copying pixels from one canvas to another there are special rules. In order for the globalcompositionoperation and globalalpha properties to have any effect you have to use the drawimage method – but with the handle of the source canvas as a parameter. This means that blindly using putimagedata wont have the desired effect. Enough theory, let’s start by learning how to load a picture and display it. You can either use the designer and place a TW3Image component on your form, or create it via code. In this example we are going to do it the easy way by writing the code directly. So fire up smart mobile studio, create a new visual component project, switch to the source-code for Form1 and let’s get cracking. Before you start to code you need to add an image to your project. If you right-click on the project tree-view (top-left in the IDE) and select “add resource file” from the pop-up menu you can load in any html compatible image. In my example I have added a picture called “chrome.png”. Next, we initialize the image object and load in an image. I have set the onLoad event to display a messagebox when the image is ready for use. In a real life application what you want to do is to create a counter with the total amount of images you need to load, use a loading form and then wait until all pictures are loaded before you proceed to the actual main-form. All Smart Mobile Studio controls which are based on TW3CustomControl have a background property object. Using the methods of this object you can easily change the background of any control. CSS have gained a lot of ground for the past couple of years. If you havent read about it’s latest features then you should head over to apple and catch up. One of the coolest features is GPU powered graphics, transitions and effects. You can also add “tweening” to most CSS properties. This means that you can add a delay and in-between effect whenever a value changes. 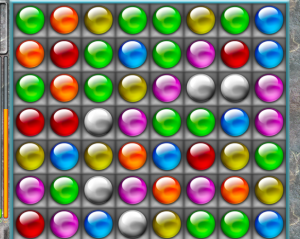 Strictly speaking, you don’t need to use the canvas object in order to create a game or a multimedia application. You will actually get better results in many cases using our Sprite3d implementation – which uses hardware accelerated GPU power to move stuff around the screen. But there are naturally cases where the canvas is more appropriate, depending on what you want to achieve of-course. Both versions of DrawImage takes an image handle as a parameter (FImage.Handle) and can be used to “blit” (copy) an image onto the canvas. You control the copy operation using the GlobalCompositionOperation property. 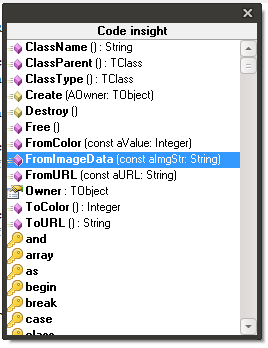 PutImageData is a bit different, in that you have to provide a TW3ImageData object as a parameter. TW3Image (as well as the TW3Canvas object itself) has a method called toImageData which returns a DIB (device independent bitmap). This is a low-level class which also contain methods for directly manipulating the pixel values (R,G,B,A). If you have static pictures that you use a lot in your app then you may want to cache them as TW3ImageData objects for faster drawing.